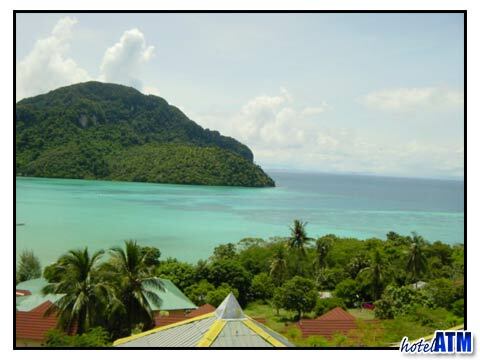 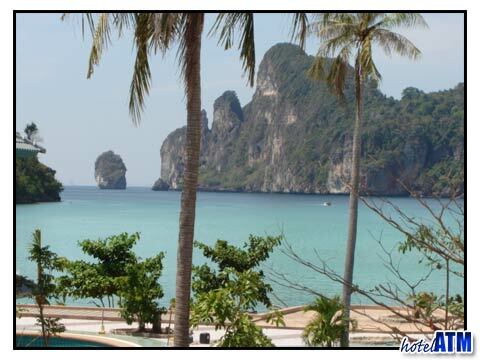 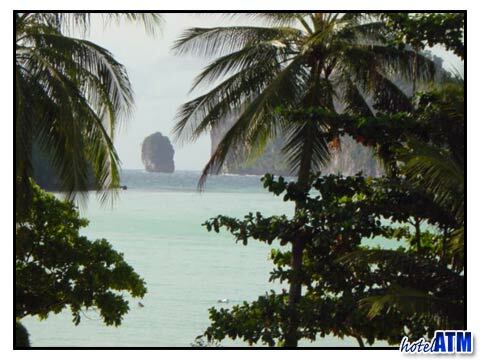 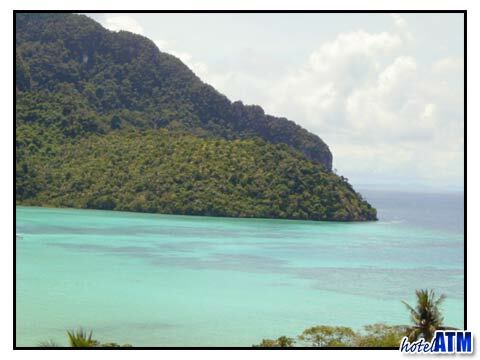 Loh Dalum bay has an extraordinarily beautiful view out to sea towards the north of Phi Phi Don. 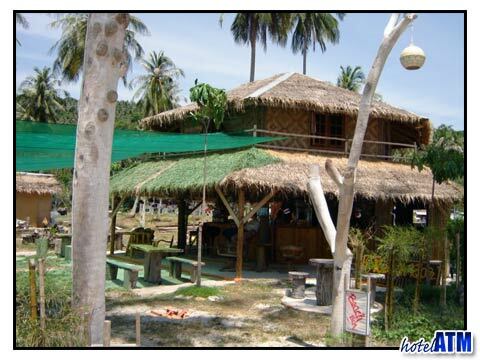 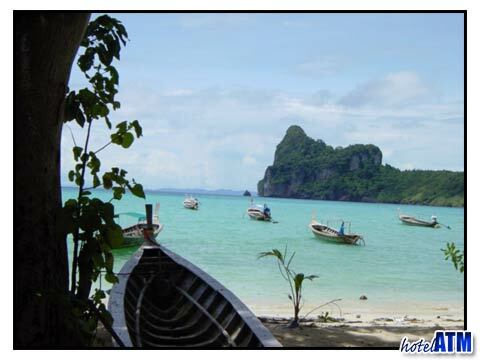 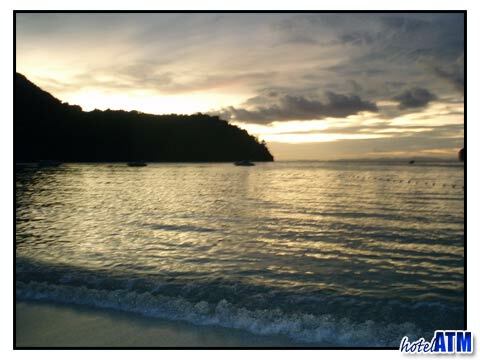 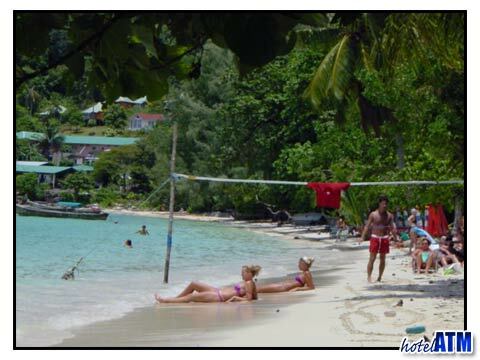 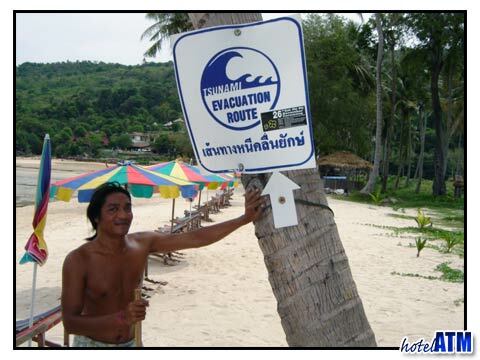 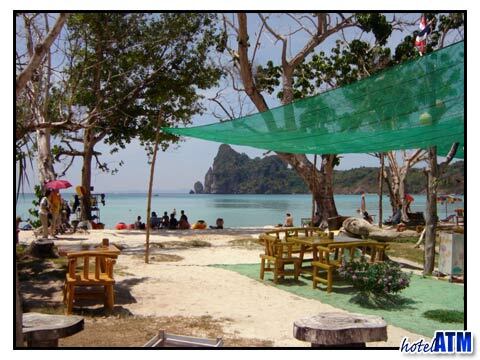 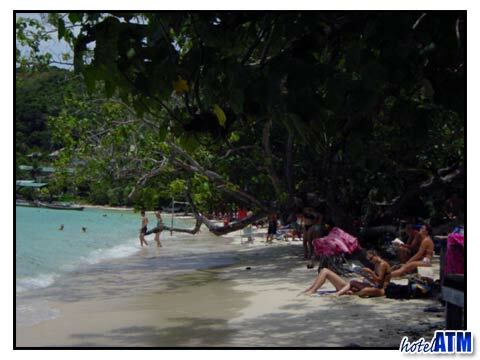 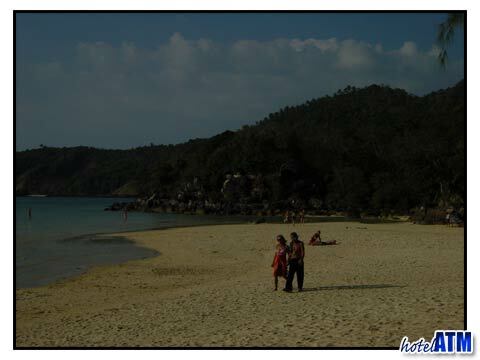 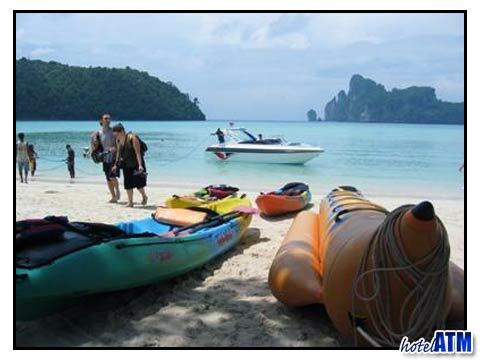 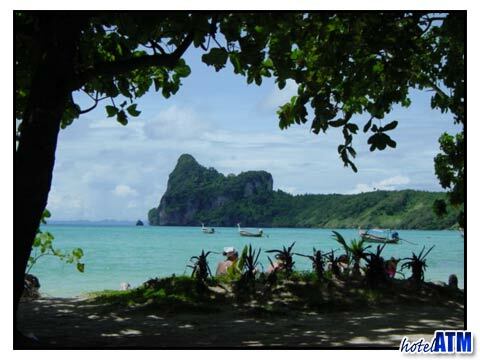 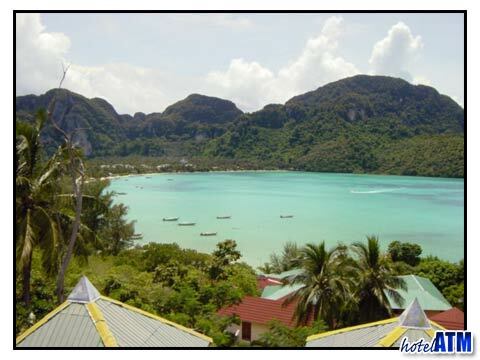 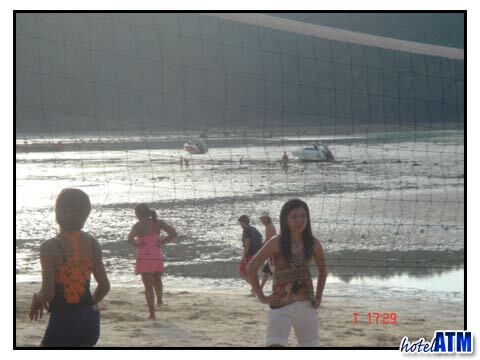 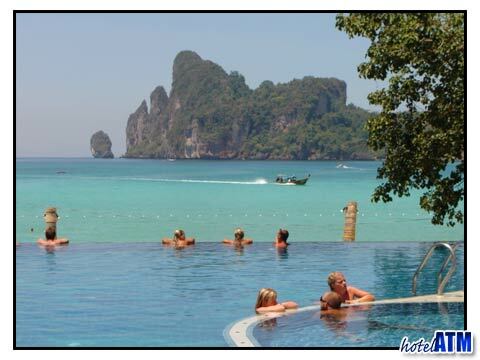 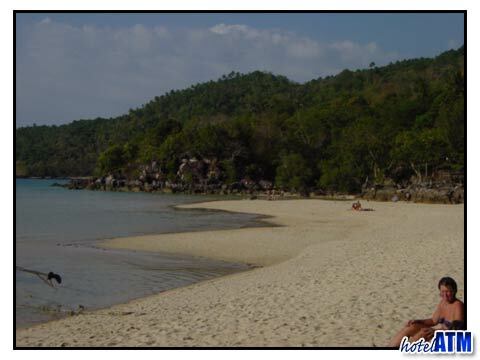 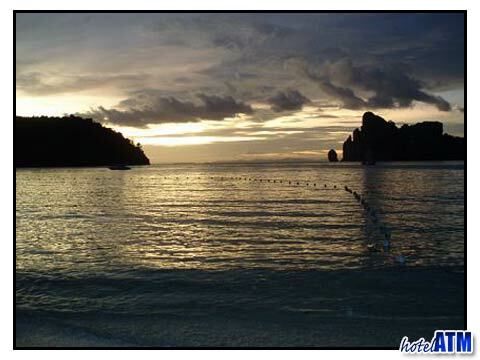 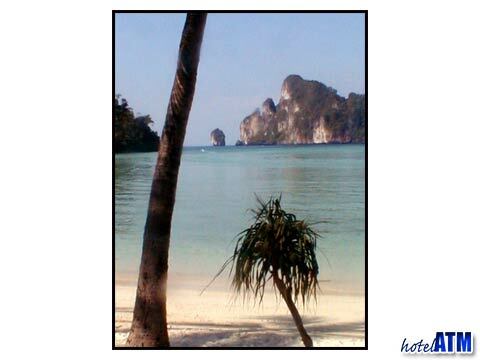 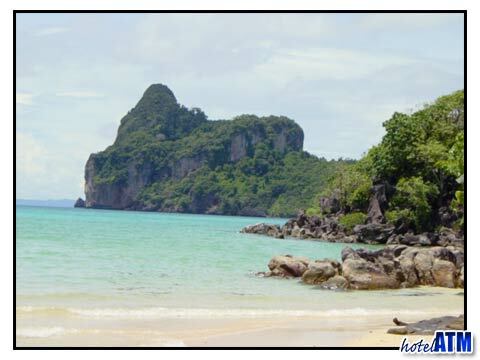 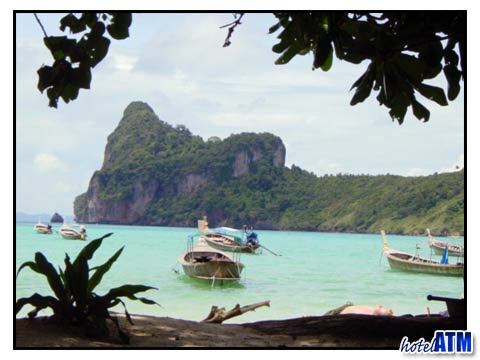 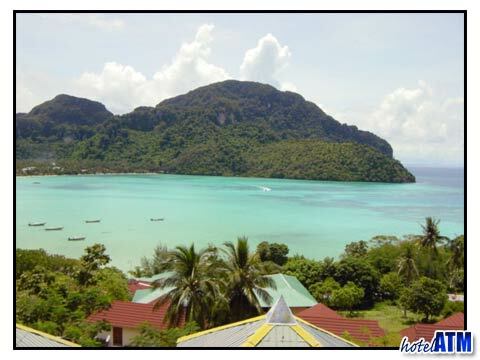 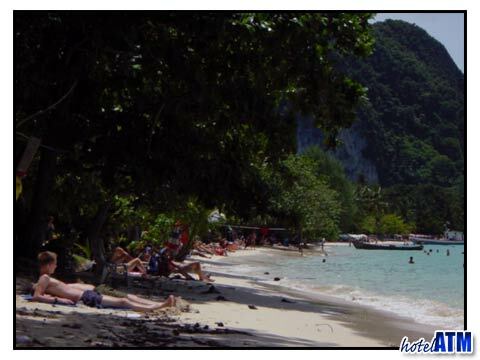 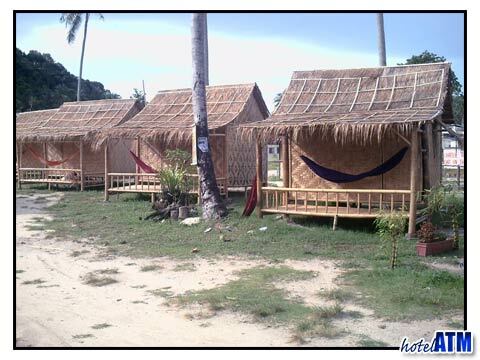 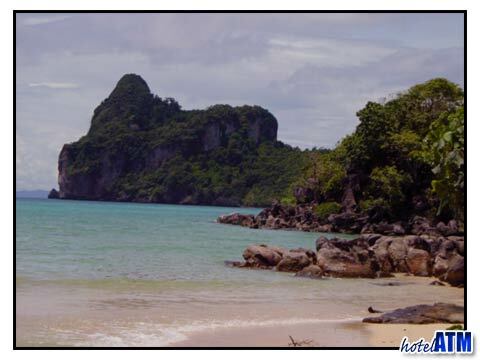 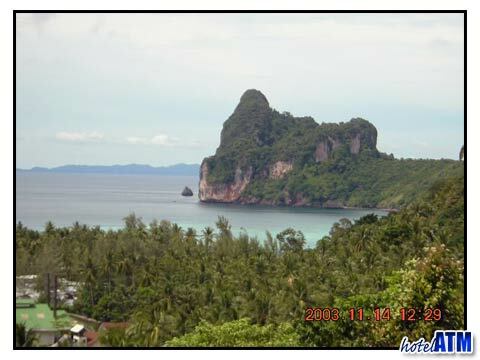 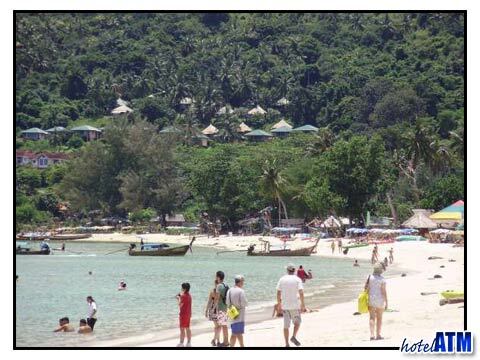 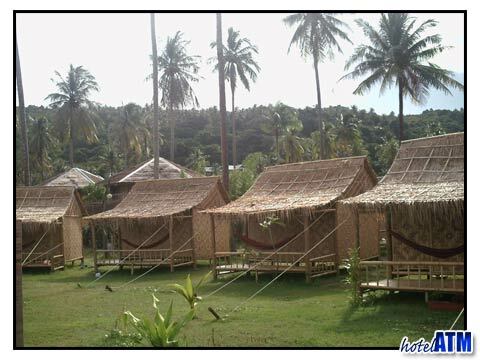 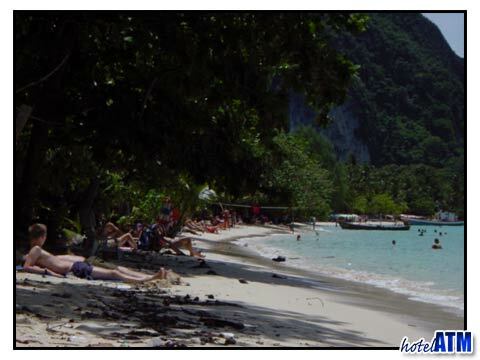 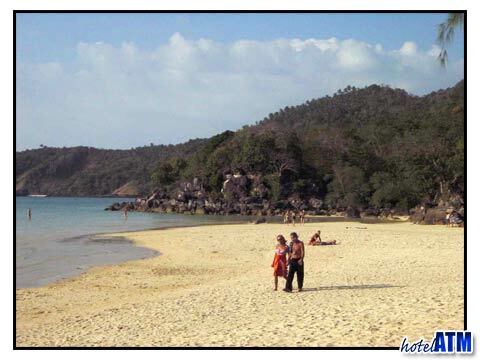 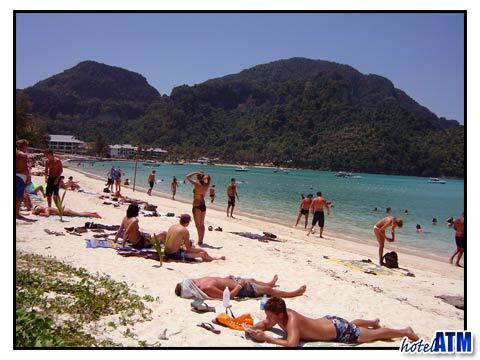 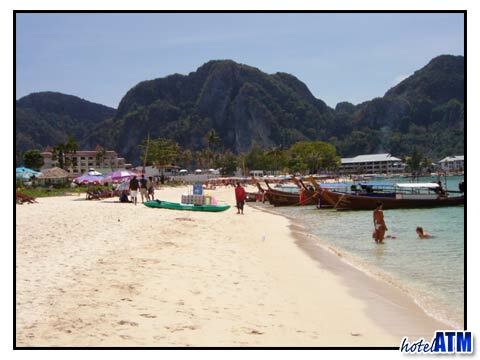 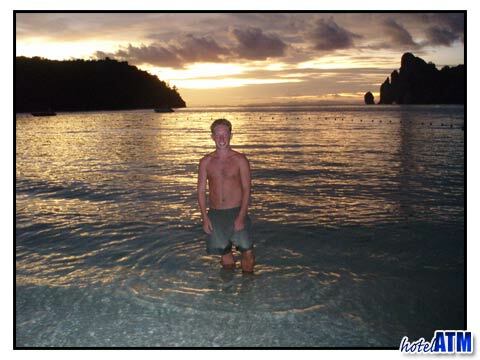 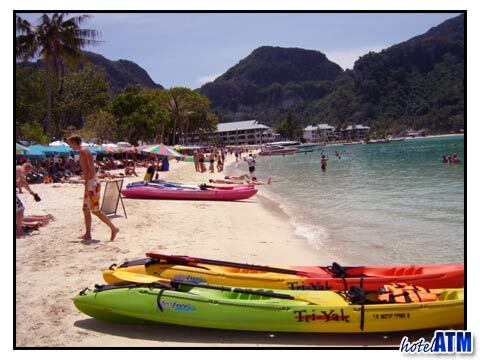 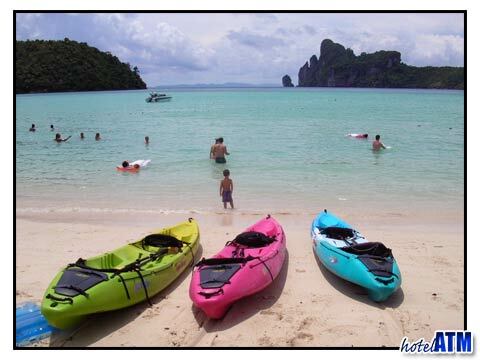 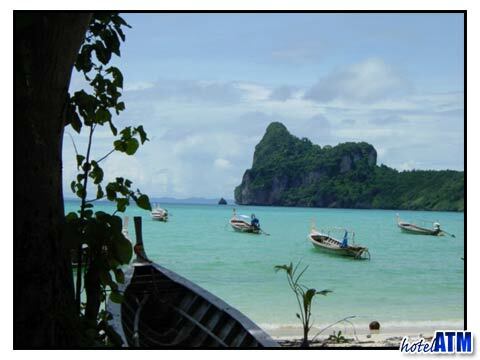 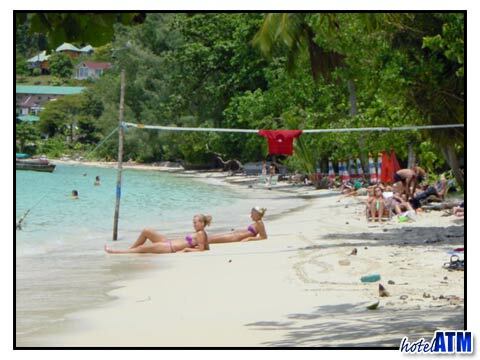 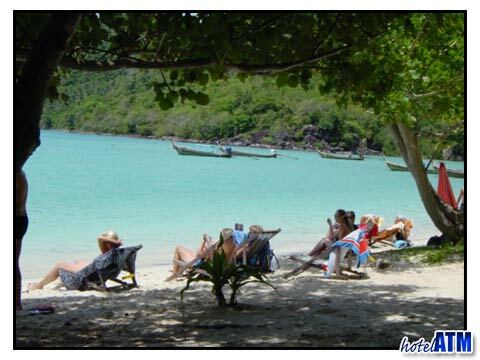 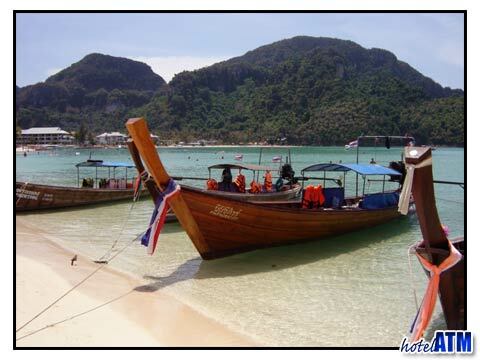 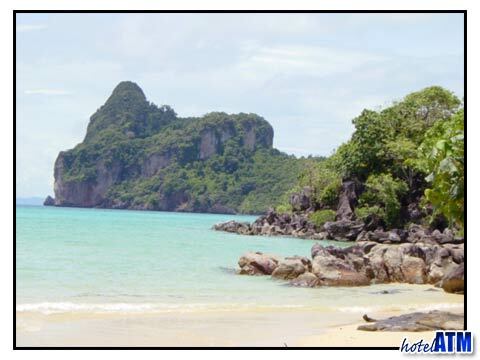 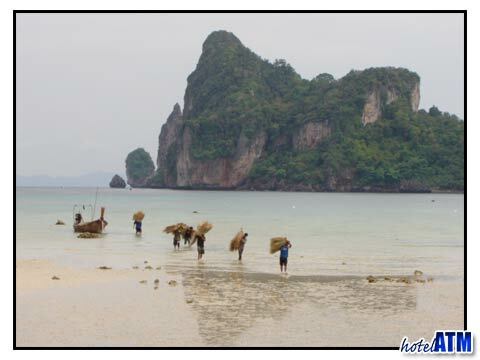 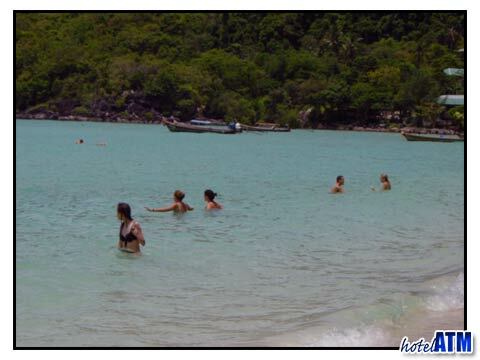 Loh Dalum is a long sweeping sandy beach which is highly popular with tourists staying in the main Phi Phi Village. 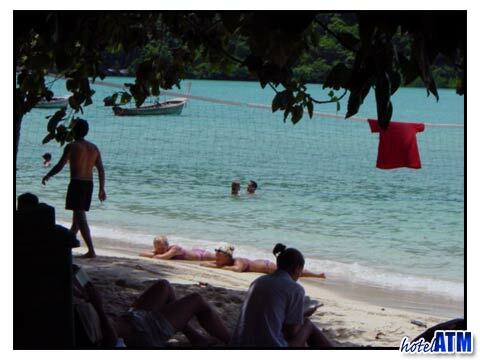 Tourists laze on the soft sand, sunbath and generally take in beach life. 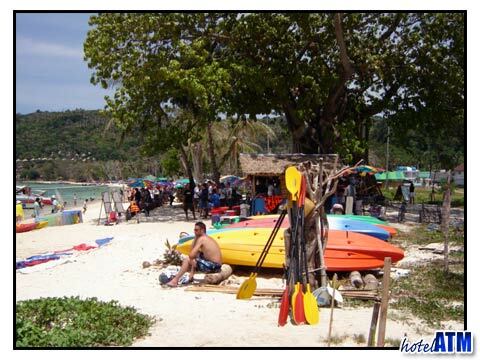 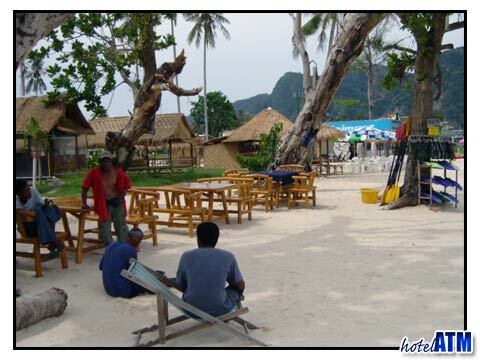 The scene up near Ciao Bella Restaurant is where the travellers hang out and plan their next explorations of Phi Phi. 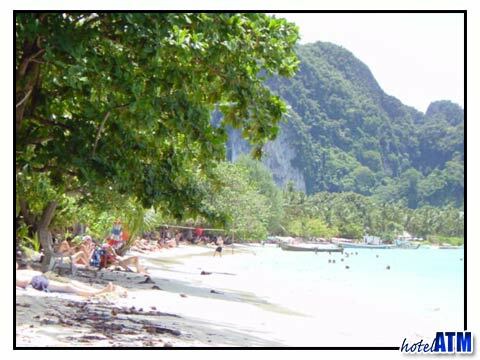 Loh Dalum must rank as one of Phi Phi Island's best beaches. 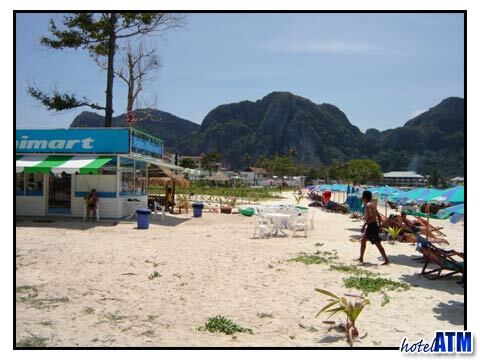 Loh Dalum Bay is the northern beach of the famous dumbbell shape of land that connects the Tonsai cliffs to the viewpoint hills facing them. 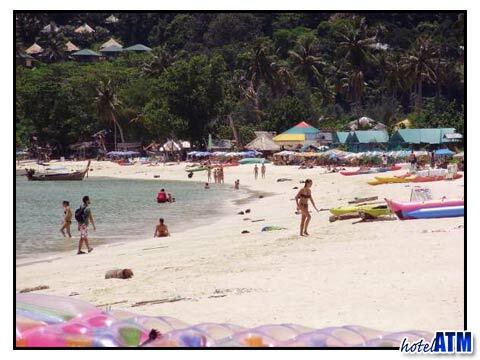 Loh Dalum is one of Thailand's best beaches.